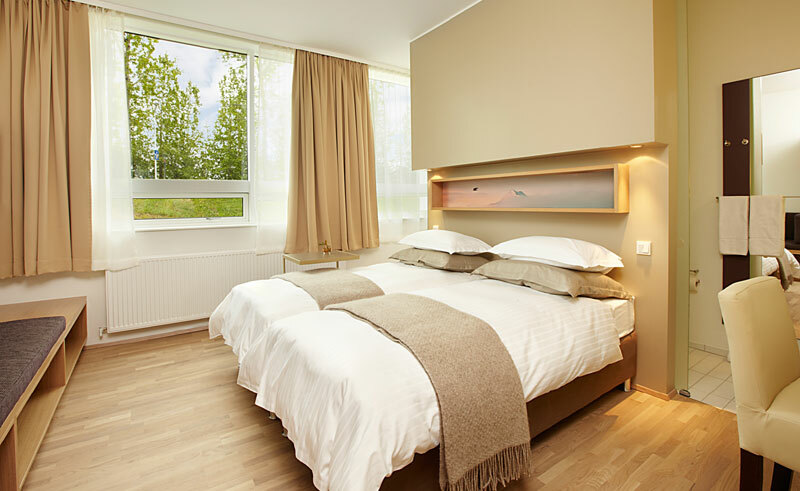 Opened June 2011, Icelandair Hotel Akureyri offers 101 comfortable, modern rooms in the northern town of Akureyri. 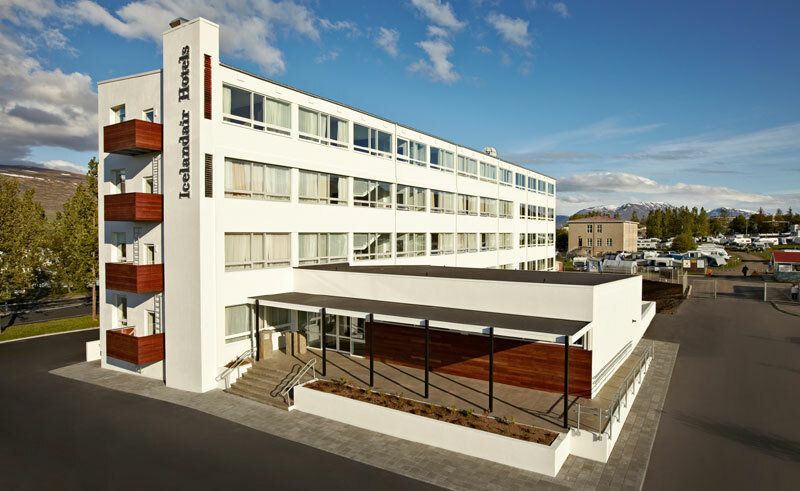 Found near the centre of town, this hotel serves as a comfortable base camp for day trips into the Icelandic countryside as well as a central hub from which to enjoy the town’s many shops, restaurants and local events. During winter, Icelandair Akureyri provides a heated ski storage room to guests. The restaurant, found on the ground floor of the hotel, offers a light breakfast and lunch, while the dinner menu is a creative mix of Icelandic and Mediterranean dishes. The Lounge Bar is a wonderful place to enjoy a drink or afternoon tea before the crackling fireplace. Each room features a modern decor and hard-wood floors and each comes equipped with a TV and seating area as well as tea and coffee making facilities.